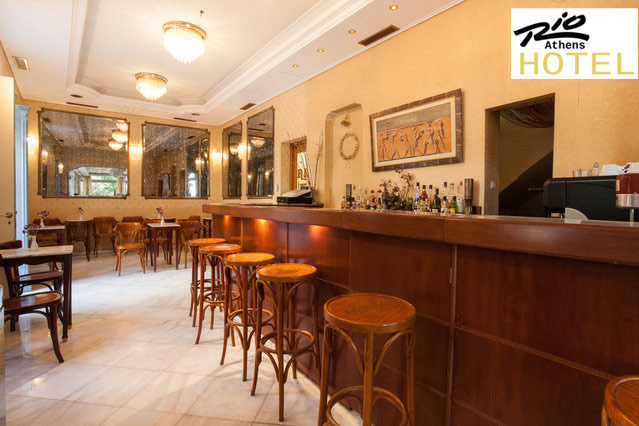 Hotel RIO is located in the center of Athens, on the quiet pedestrian street of the Karaiskaki square, next the subway station METAXOURGIO and quite near the international railway station. 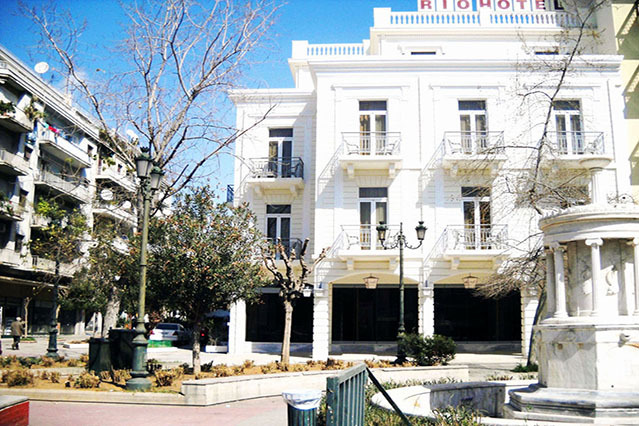 It is 1 Km away from the Syntagma sq, a 35 minutes drive from the Athens international airport and 15 minutes from the port of PIREAUS by subway. RIO is a beatiful neoclassical building entirely restored, blending every modern convenience with the classical aesthetic. The Bar-Restaurant, at the ground floor, is the ideal place to relax enjoying drinks, food and pleasant music. It serves many kinds of drinks and greek specialities until well after midnight. If you are familiar with RIO HOTEL, please share your opinion of it with other travelers. Write a review! Sydney, AUS Great budget hotel..!!! 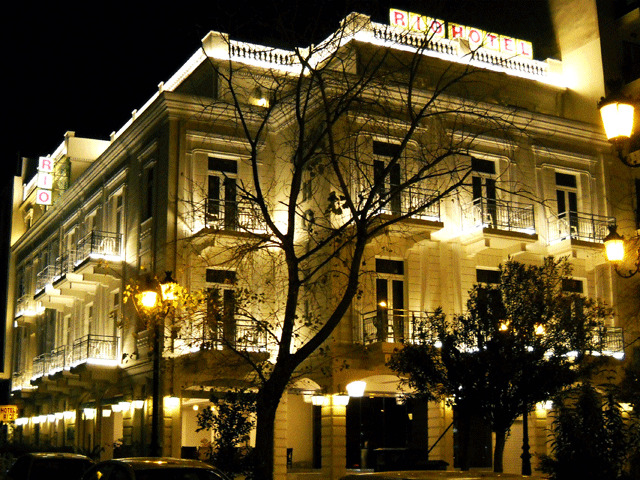 Great hotel in Athens , perfect location near Acropolis, many things to do and within walking distance to all sightseeing attractions . Staff always with a smile and helpful ,breakfast great, amazing greek food in the hotel's restaurant. Best value for money 3 star hotel. Will be back mates.!!! Hotel Rio Athens was excellent choice for me and my wife. We get there in the middle of winter but the hotel was so warm inside that we didn &&#3539t feel the cold not for a minute. The metro station Metaxurghio was a minute walk for the hotel and make our movement more comfy. Acropolis, Plaka, Museums were a walking distance for hotel,the staff very helpful to give us directions and informations. The room were clean and tidy. Definitely recommended this hotel!!! My wife and I spent four nights at the Hotel Rio and were not disappointed. The hotel is very conveniently located to all major attractions and the room was comfortable and more than adequate for our needs. Highly recommended if you like the downtown atmosphere and excellent value for money. Berlin, Germany Great 3star Hotel!!! We just returned from staying in the Hotel Rio Athens for 5 nights. The Metro was 50 meters away and had lift access to the street which makes it very accessible from anywhere interesting in the city center, the airport and Piraeus. Everywhere is within walking distance. The staff was very helpful and the breakfast in the restaurant was without a doubt the best I&&#3539ve had in any hotel I&&#3539ve stayed in anywhere. The rooms were cleaned daily. Everyone who worked at the hotel spoke English, it made everything easier. 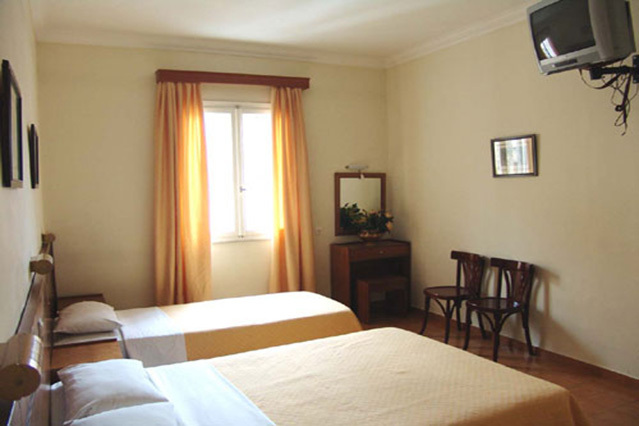 I would highly recommend this hotel to explore Athens with your family. The location of the Hotel Rio is great! From the bustrain stops, everywhere is within walking distance. The room was clean. Staff is always on hand to give good recommendations. The bar is a cool place to chill out. Everyone who worked at the hotel spoke English, it made everything easier. I would highly recommend this hotel. Stayed six nights in the beginning of March 2010 with my family and the hotel turned out to be the perfect choice. A pleasant experience right from the start. Excellent service from check-in to check-out. Quiet rooms with all necessary amenities. Staff was very helpful and friendly. The hotel&ීs at the heart of the city. I would highly recommend this hotel. The hotel “Rio” was a good choice. The hotel was clean, quiet, and well-situated with easy access to the Metro. The staff was very helpful and English speaking. The breakfast was excellent and the choices were more than enough. The most important thing was that it was very QUIET. 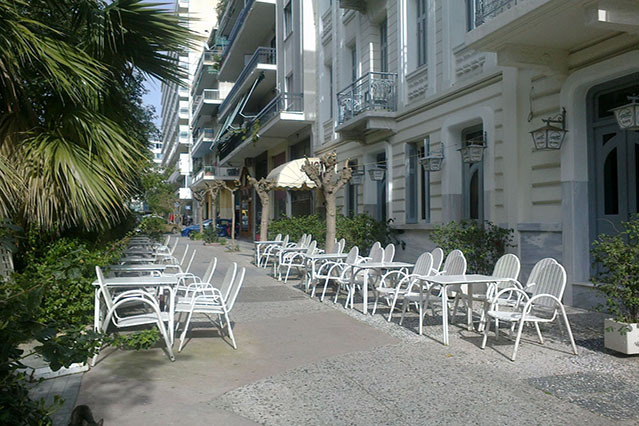 It is located right in the city center which made it very easy for us to get around. Overall - a good experience. 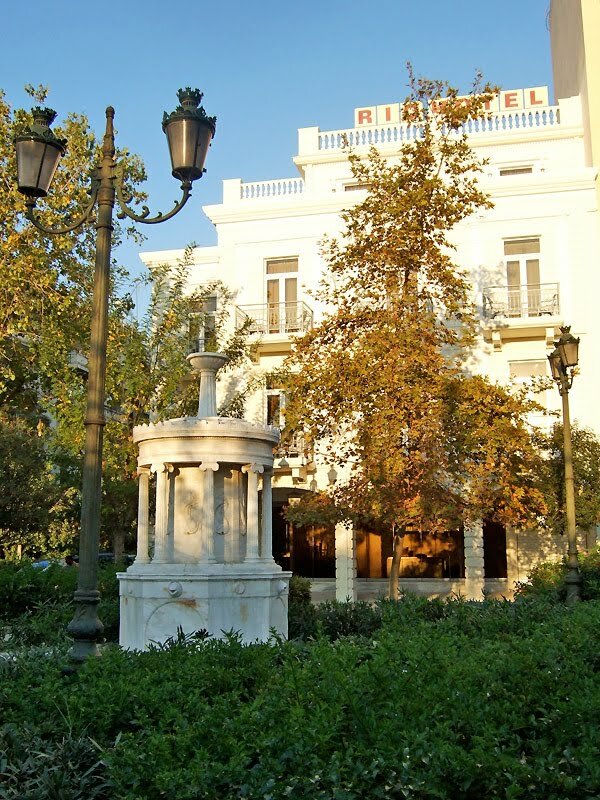 Hotel Rio Athens is a very welcoming 3 star hotel in the centre of Athens. We were very pleased with our time at the hotel. 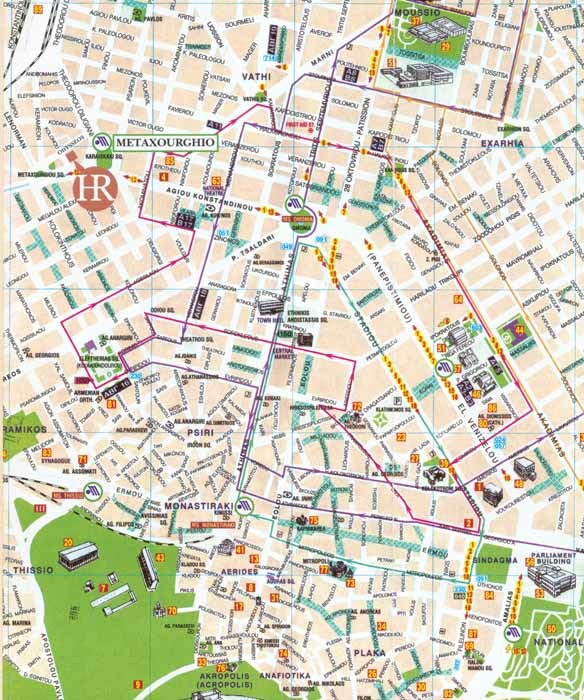 Convenient public transportation, the metro station “Metaxourghio” and very close (walking distance) to the ancient sites, the Acropolis, the National Archaeological Museum, the Old town Plaka etc. The staff of the hotel was magnificent. The rooms were very clean. The bar and the restaurant downstairs serve delicious Greek and Italian food. The people in the travel agency next door were very helpful by arranging our day trips, Athens sightseeing, Delphi, Argolis, Meteora and the Greek islands. 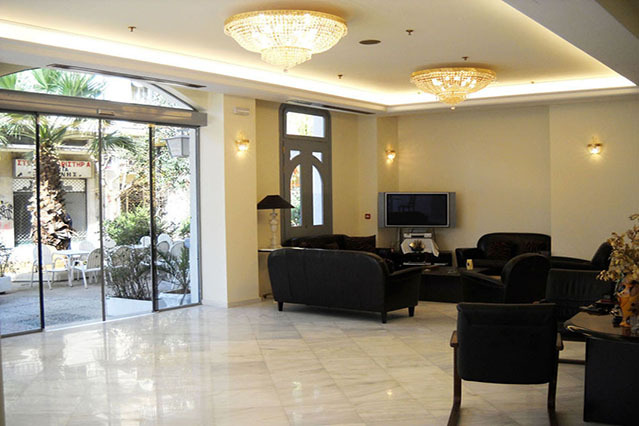 Stayed here while on business in Athens and found it to be a great hotel, centrally located and close to all the city centre attractions. We enjoyed our stay very much. 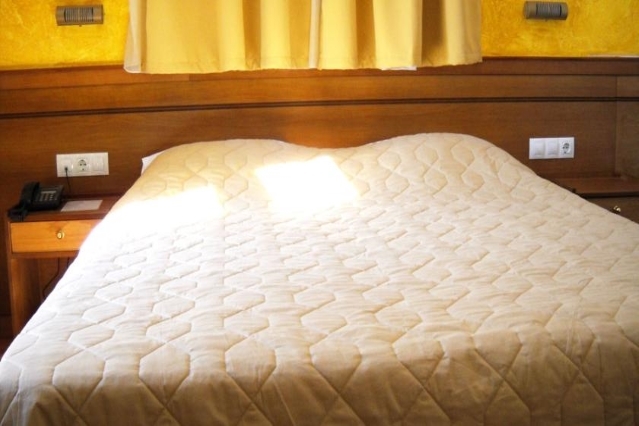 Hotel with multilingual staff, restaurant, modern accommodations,travel agency etc. "Hotel Rio Athens" is a grate 3 star hotel, very popular in the citycenter ( metro station "Metaxourghio")_ of Athens,Greece,close to all local attractions,the Acropolis,National Museum,flea market etc..Athens is brilliant city and the "Hotel Rio Athens" with the staff very helpfull.We highly recommend to other people this hotel and WE GO AGAIN.